Lightweight, framed privacy filter is designed for standard formatted, desktop LCD monitors. 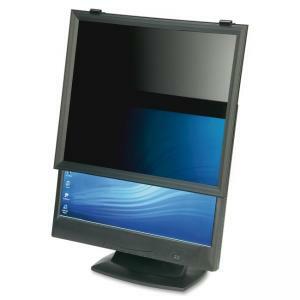 The filter microlouver privacy technology allows only persons directly in front of monitor to view screen image with no blurring or image distortion. When viewed at an angle, the screen image goes dark. Lightweight filter can be easily removed for shared viewing with no damage to desktop monitor.